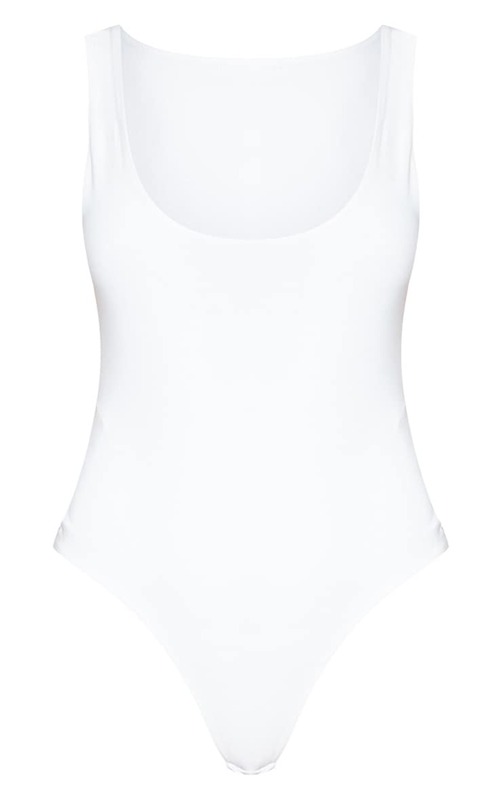 This simple but must-have bodysuit is perfect for any occasion. 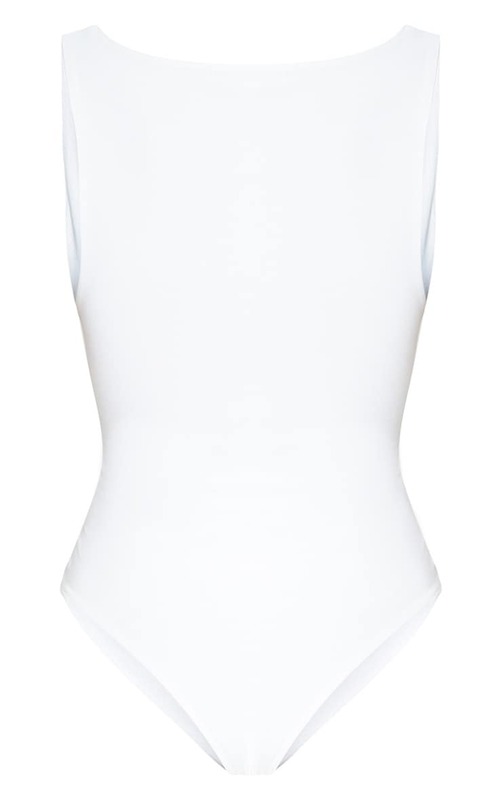 Featuring a cream second skin material with a scoop neckline and popper fastenings. Team this with black leggings and a blazer for a day to drinks look.